"This mission is a message to all terrorists." 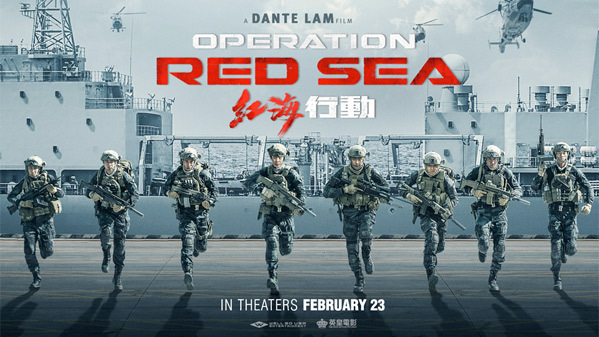 Well Go USA has released an official trailer for an action movie titled Operation Red Sea, made by Hong Kong filmmaker Dante Lam, who last made the action movie Operation Mekong. This sort-of-sequel is about the Chinese Navy's elite Jiaolong Assault Team who gear up and head into action when a terrorist plot to obtain nuclear materials is hidden under the cover of a violent coup. This pretty much looks if Michael Bay was from China, with all of his usual explosive touches. It also seems perhaps like a Chinese propaganda movie about how great their navy is. The huge cast includes Yi Zhang, Johnny Huang, Hai-Qing, Jiang Du, Luxia Jiang, Fang Yin, Yutian Wang, Jiahao Guo, and Henry Prince Mak. This also takes place mostly in the desert, despite the "Red Sea" part of the title. Famed Hong Kong action director Dante Lam returns with this explosive follow-up to his 2016 box office smash Operation Mekong. When a terrorist plot to obtain nuclear materials is hidden under the cover of a violent coup, only the Chinese Navy's elite Jiaolong Assault Team have the deadly skill and precision needed to take on the situation. 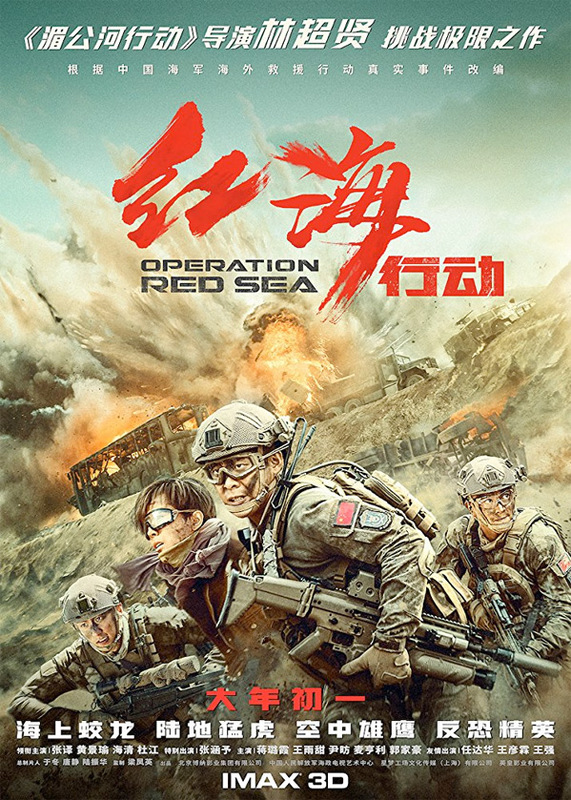 Operation Red Sea is directed by veteran Hong Kong filmmaker Dante Lam, of various films including Option Zero, Beast Cops, Tiramisu, The Twins Effect, Naked Ambition, Sparkling Red Star, The Sniper, Fire of Conscience, The Stool Pigeon, The Viral Factor, Unbeatable, That Demon Within, To the Force, and Operation Mekong previously. The screenplay is written by Ji Feng. This will open first in China just one week before arriving in US theaters. Well Go USA will open Operation Red Sea in select theaters + on VOD starting February 23rd later this month. How does that look? Who's in?